Publix Super Markets Inc., usually identified as Publix, is an American chain of supermarkets based in Lakeland, Florida. Established in 1930 by George W. Jenkins, it is an employee owned firm, held in public. Publix is presently graded No. 67 on the listing of 100 best companies, to work for 2011, published by Fortune magazine and was graded No. 6 on the listing of biggest private companies of America, to work for 2011, published by Forbes and is the paramount in Florida. In 2011, the sale of the company was totaled as $27.1 billion, with returns of nearly $1.5 billion. There are currently 2 consumer reviews about Publix Super Markets, Inc available. Share your review. 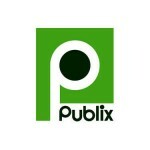 Please take a note that you are about to post a public review about Publix Super Markets, Inc corporate office on CorporateOffice.com. This review will be public, so please do not post any of your personal information on this website. If you would like to contact the corporate offices of Publix Super Markets, Inc, please use their contact information such as their phone number, website, and address listed above to contact them. However, sometimes staff from Publix Super Markets, Inc headquarters do read the reviews on this website.